My brother Les is tallying up our days gold take on one of our projects in Montana. We always keep a clean and organized cleanup area. 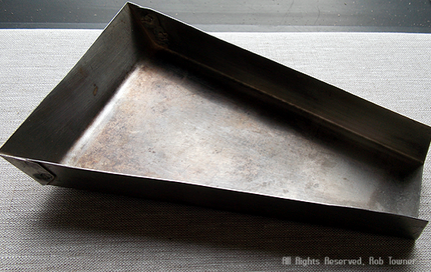 The metal topped table is always imperative for easy cleanup of spills or mishaps. We always pour gold bars from the accumulated fines right on site. Usually within one hour, we know exactly what the value per cubic yard of material we washed from the previous shift. Keeping grade control of your gravel along with the associated yardage count will keep a handle on what values you are recovering every shift. Remember to keep samples of the associated minerals on the property you are mining and pay close attention to these for any changes in number or morphology as these could help you in discovering a rich pay streak. Remember gold is usually deposited intermittently across the floodplain and keeping a close eye on any anomalies could help you find richer portions of the deposit. I am mapping a Diamond exploration pit we dug in Venezuela. These basic guidelines I will address in the following months are my experiences in the exploitation of placer mining deposits in many locations around the world. Lets go with the following. Plan your campaign. Carefully review your present and historical information and select your prospecting sites. You will need to address a business plan and required personnel. Even a two man prospecting crew needs a budget. In general , establish disciplined prospecting procedures. I will address this in future posts in detail. Keep detailed records of anything you encounter in you exploration phase. Topographic maps are 1st on your list, showing among other things, location, surface topography and your surface control lines. Example: 50x50 grid lines. Each prospect will dictate your control procedures and cross sections.. These very basic guidelines, I will address in the following months are my experiences in the exploitation of placer mining in many locations around the world. A couple of years ago a client contacted me to examine a property he had just purchased. He wanted to know what the property might contain in gold values. I researched the publications available to me and found that considerable gold had been recovered from this property before the turn of the century. Usually a good producing lode mine is the logical source of placer gold and evidence of structure and geological occurrences are well documented on most of the known districts. I gathered up some testing gear I had and dug a few test pits, while we only found a little bit of gold, which was nice, but the pleasant surprise was these high quality sapphires I found. This was good news for the owner. This small collection was mine run and not heat treated. You can bet mining this property may be in our future!!!! My sweetie Christi getting ready to be dropped down into the pit we were mining. She is always ready to give a helping hand at our mining projects. Plus, she is a very adept panner, I trust her results with the gold pan for sure. 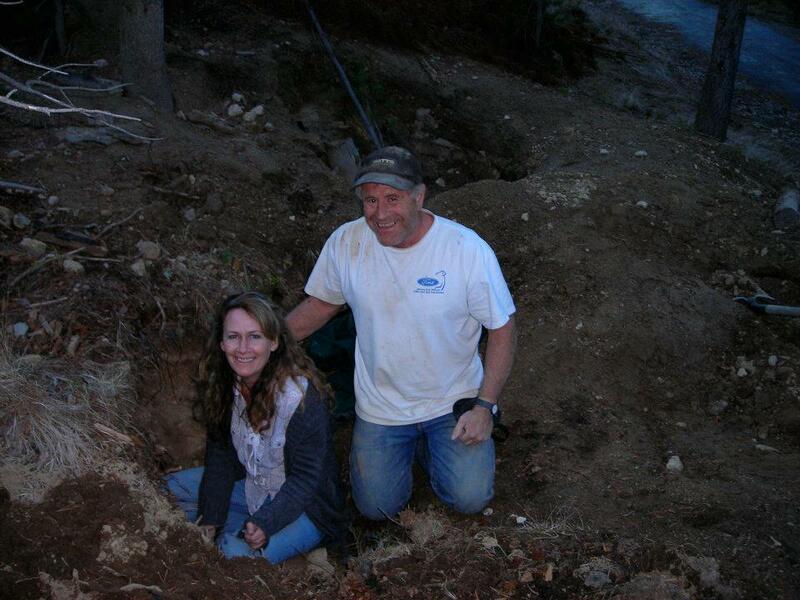 I am one lucky miner, she's is definitely my pot of Gold!! As I dig through old photo's of many years gone by I find many of my jobs and experiences were influenced directly or indirectly by this good man. As the winter gets shorter and my mining project gets closer to spring breakup. I bet I will see a dust cloud coming down the dirt road and with his usual enthusiasm, he will jump out of his jeep and start furiously prospecting around every hill around my mine site. I have now doubt he will come roaring into my minesite.... you'll never believe what I found!!!! Can't wait till spring ol buddy. I am always championing the goldminers I meet. A big ol pile is fun to pick it up and hear it pour back into your pan. I can just imagine the old timers back in the day, the incredible odds they faced.the tremendous work they did to wrestle the gold from the earth. Hoping to go back to their families to bring them a better life. The west was settled and explored by these robust and hardy people and they set the stage for America to be the great place it is today. The prospectors, explorers and adventures is a big part of what the United States was and still is today. My partner Tony taking a grab sample from our excavator bucket. From the grin on his face I bet he is expecting a pretty good showing. This is a good way to check out your paydirt at times. This gives you that confidence, when you are digging the paydirt. Like it or not it is always nagging at the back of your mind. Besides that panning is good fun!!!! This a couple of old photo's of a cleanup I had at My Bannack Montana project back in the 1980's. Everybody likes to see a good gold cleanup. I still have this old Genie gold wheel and I can't even guess how many thousands of ounces this little machine has done for us. In my opinion this tool has helped the modern day placer miner as much as anything I have ever seen. This little unit is quick and simple and very portable. You have your gold in hand, ready for the smelter. The first time in history!!!! Two suction dredgers pulled up to a new dredging site by an elephant!!!!! My buddy Dave Mccrackin and I making friends with a very large elephant. 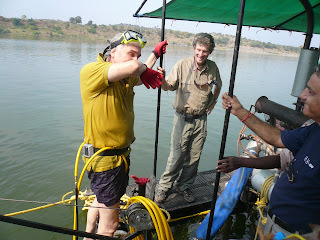 The Elephant was brought in to assist us in moving the large suction dredge up river. Neither one of us had experienced this before. 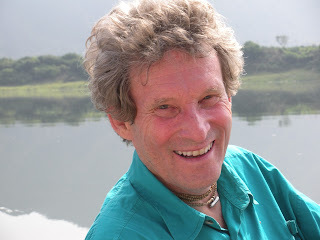 The elephants of India are used for a great many tasks, and this big pachyderm, more than exceeded our expectations!! The elephant was hooked up to our 10" suction dredge and effortlessly pulled us up the river to our next dredging location. The experience was a lot of fun, and something not many dredgers get to experience. 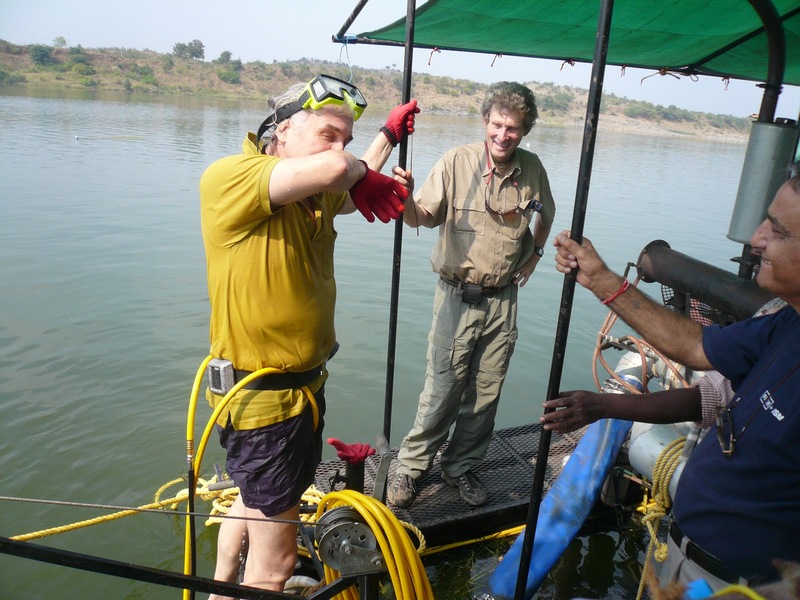 In fact I think we were the first suction dredge miners ever to be pulled up a river by an elephant, Ever!!!!! You know ol buddy I think Extreme prospecting is what its all about!! My brother Les and I just finished a test on our upcoming project. This is a property we are currently testing that has some great potential. The gold is only a 60 mesh size. I will be spending the rest of the winter months planning our spring startup. Fine gold properties can be a challenge to get dialed in. While there may not be nugget pic's next year, I will share our technique's on fine gold recovery this summer and fall. 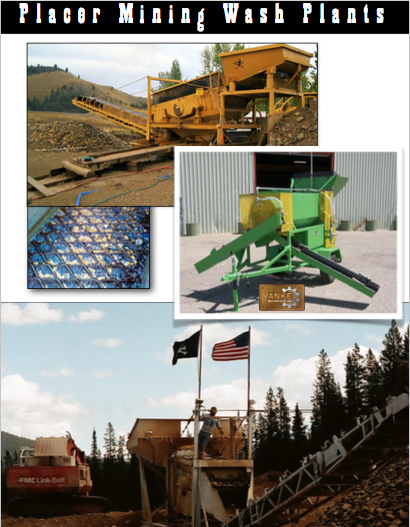 We are excited and looking forward to mining gold in Montana. John Simms one of the owners of the Diamond project I was working on, is getting congratulations on his first suction dredging dive. Sam Speerstra and Col. Shali look on with proud looks on their faces. John did a pretty good job overcoming the depth and visibility to keep some rock in the box and assisting in the Diamond recovery efforts. It always helps moral, when upper management come and lends a hand. 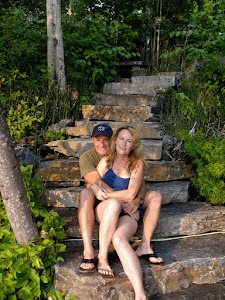 Christi and I on one our many prospecting excursions into the mountains. We have a lot of fun exploring and looking for old placer mines and historical places. We were digging for amethyst crystals here and found some pretty nice ones. We had been digging up a storm for two days!! This is a center cut on a gulch placer we were working here in western Montana. We were getting ready to move up on the bench placer on the upper left of the photo. You are always trying to achieve digging dry if possible. Most of the time you will have water issues. I will be discussing that in great detail in my later newsletter's and video's in the future. If you look closely on the center right of the photo, you will see my metal detector on the bedrock. I always check to see if any big nuggets got away from the excavator. I did not find a single piece of gold ever, on our cleaned bedrock. I can safely say nobody is going to get much gold here in a hundred years!!! This was a wire gold collection we collected a couple of years ago here in western Montana. Tony Larghi taking time off from digging duties on the excavator to pan a gold nugget. There was several places you could pan coarse gold where we were mining. This was an operation I put together in the deep jungle of Venezuela. 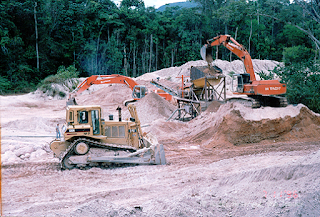 The washplant I built was made of scavenged equipment from several abandoned projects from various sites near kilometer 88 the famous gold bearing area in Venezuela. We were able to run straight through the rainy season and recovered a lot of gold and a lot of Diamonds. A previous operator had recovered a Diamond of 25 cts near here. While we did not find any that large we did recover some very nice stones over 15cts. This was a sweet little operation. While prospecting in central Venezuela we chanced upon many artisanal miners in the bush. You can see a family here working a shaft that was all of 50 ft straight down. Nitches had been hand dug in the clay walls of the narrow shaft serving as the ladder going down. You would stretch out and basically walk straight down till you came to the adits they were working. This I believe was one of the first photo's taken of Kimberlite found in this area in Venezuela. I was comfortable enough with going underground here, actually I could not stand it not to go check it out! They called the Kimberlite in this area Pintura. Which translates in spanish to colors. I actually held pieces with Diamonds in them. Christi is checking out our cleanup. One of the more interesting anomalies on the property was the abundance of wire gold. Some of this gold was very delicate and small, while some of the larger pieces resembled small sticks. Another anomaly on the deposit was the presence of Cassiterite. Finding Tinstones is not real common in this part of Montana. Undoubtedly these were associated with the volcanics nearby.